Happy New Year ladies and gentlemen and happy holidays. 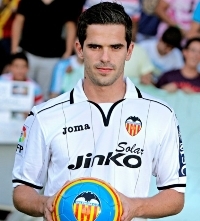 For those of us Valencia CF fans the club had a good year in which it finished 3rd place in the Spanish league, played in the round of 16 in the Champions League and Valencia CF didn't loose any important players in the summer like Roberto Soldado for example. The third quarter of 2012 wasn't as good with the start of the new season, as Valencia wasn't able to get the results and the year finished with Valencia at mid table and some problems going into the new season. I'll start from the back for the transfers and move forward. There were reports from England and Spain that Arsenal FC are interested in Valencia goalkeeper Vicente Guaita and that Arsenal manager Arsene Wenger will make a big move for Vicente Guaita and even meet his 15 million euros buy-out clause. 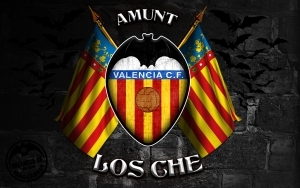 Of course this won't be the best time for Valencia CF to sell any of the goalkeepers, as club president Manuel Llorente is aware the club will have to sell one of the goalkeepers in the summer, but he wouldn't want to loose one in the winter and he would prefer to keep Guaita as he is a Valencianista and he has pressure to have more Spanish players playing at the club. As far as the defense is considered there have been reports that Adil Rami will leave in the summer and probably go to Real Madrid or even England and that Valencia CF will use those money to get back Raul Albiol from Real Madrid. In fact recently Valencia CF president Manuel Llorente stated that he would like to bring Albiol back and I tend to take him very seriously, so there is no doubt Valencia will try to buy Raul Abliol from Real Madrid in the summer as the president is under pressure to have more Spanish players in the team and with the coming elections its obvious he will try to bring back Albiol. Right now the club is working on getting one defensive reinforcement as the club has been with only 3 defenders this season and has had trouble occasionally filling the spots with various injuries and cards. In fact I know the club has 2 almost certain players that will join, I just don't have information who these players are and what positions. I suspect we have one central defender secured and then a defensive midfielder if Gago leaves. Earlier in the season Valencia CF were looking into Bruno Martins Indi a young central defender who play for Feynord. The other positions at the back are full and apart from a forced sell in the summer of say Aly Cissokho due to the financial situation I don't see any major changed, certainly not in the winter transfer. In the midfield Fernango Gago has been an issue as he was frustrated by the sacking of Mauricio Pellegrino and wanted to leave, but changed his mind, fast forward to today and he still hasn't really cleared up his situation, with reports saying he wants to go to Boca Juniors and doesn't want to stay at Valencia, while he himself claimed that much of the reports are exaggerated and false, though didn't outright dismiss them. Recently there have been new reports that Boca Juniors have agreed personal terms with Gago and send an offer to Valencia CF for Gago. The offer is said to be 3 million euros over a year, with Valencia CF demanding 4 million euros. The latest player Valencia CF has been linked with as replacement for Gago is Xavi Torres who plays for Getafe, while earlier there have been mentions about Tomás Pina from Mallaorca and Javi Fuego from Rayo Vallecano. Earlier in the season the staff were interested in Vicente Iborra as a replacement for David Albelda for next season, though they figured out that he isn't as solid in the defensive role and that the team would need to find a stronger and better defensive midfielder who's main position is defensive midfielder. Then there is the right wing for which the club is searching a replacement for Sofiane Feghouli who will leave for the African cup of nations for a month and possibly be sold in the summer, so the main target right now is Vittolo, after deals for Isac Cuenca and Eljero Elia are said to have fallen apart. Spanish newspapers reported that Valencia CF is interested in Victor Rodriguez who currently plays for Real Zaragoza on the right wing. Braulion Vasquez was also looking at Jordi Xumetra from Elche, though reportedly Elche said they weren't interested in selling him in the winter. Ultimately its very likely the club will bring in a reinforcement for the right wing and my bet is on Vittolo. All other midfield positions are pretty much full and secured and may even be overflowing a little, as Bernat for example has rarely been given opportunity and Viera hasn't featured too much as well. With Pablo Piatti now fit and back in the squad and Sergio Canales coming back very soon, possibly within a month the midfield is secured, though depending on the performance there may be some big changes in the summer. As far as the forward positions go its Roberto Soldado, Nelson Valdez and Jonas Goncalves. Its was Jonas that most transfer speculations have been around and he was linked to Tottenham and Liverpool, though since then the transfer rumors about him have calmed down. Reports at the time linked Valencia CF with 23 years old Wilfried Bony who plays for Erdevise club Vitesse Arnhem. Recently Manuel Llorente publicly stated that he would like to see David Villa return to Valencia CF and with David Villa said to want to leave Barcelona as he hasn't feature much since his recovery it looks like a strong possibility, although Barcelona officials have come out and said there isn't much chance of him leaving in the winter. 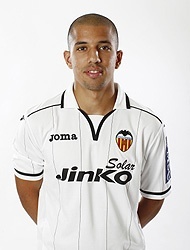 Then there is also the transfer fee and salary for him, which is much bigger than your average salary in Valencia CF. 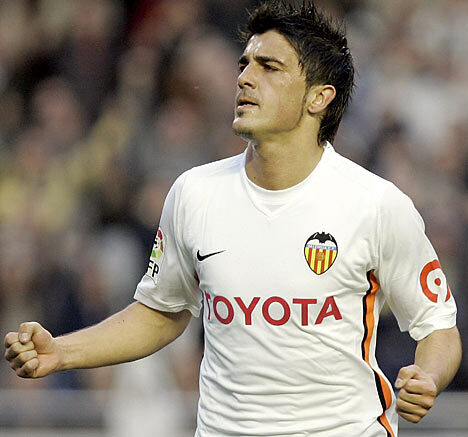 Still he spend 5 years at Valencia CF and it wouldn't surprise me if David Villa accepted a low salary in comparison to return, though it will all depend if other teams bid for him like say Juventus and even Arsenal FC.